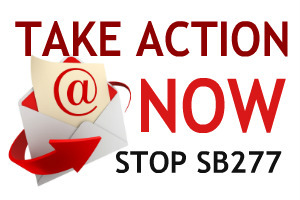 SB 277, which has eliminated a parent's right to exempt their children from one, some, or all vaccines, a risk-laden medical procedure (only a medical exemption would remain, which is usually only issued after a catastrophic adverse vaccine reaction has occurred, and often times, not even then). 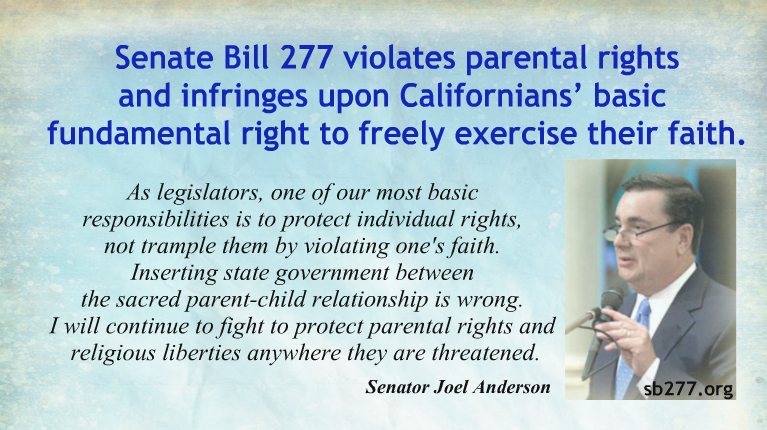 This bill has become law, it will apply to ALL students in California, whether they are enrolled in public school, private school, and parochial or religious school. Children whose parents refuse any (or all) government mandated vaccines will be segregated to compulsorily home school. Controversial products used to make vaccines: African Green Monkey (Vero) cells, aluminum, cow products, Cocker Spaniel cells, formaldehyde, aborted human fetal lung tissue cells, insect products, and mouse brains. They believe that those substances compromise their immune systems and destroy their health. They believe that there is nothing in vaccines that improves their health. They believe that God designed their bodies to function perfectly well without injecting foreign and toxic substances directly into their blood supply. And they believe that doing so violates the will the God. There is no place for forced vaccination in a free society. 1 Excerpt from Testimony from Jennifer Margulis, Ph.D.
Any government that has the power to force its citizens to submit to medical interventions that carry the risk of injury or death has too much power. 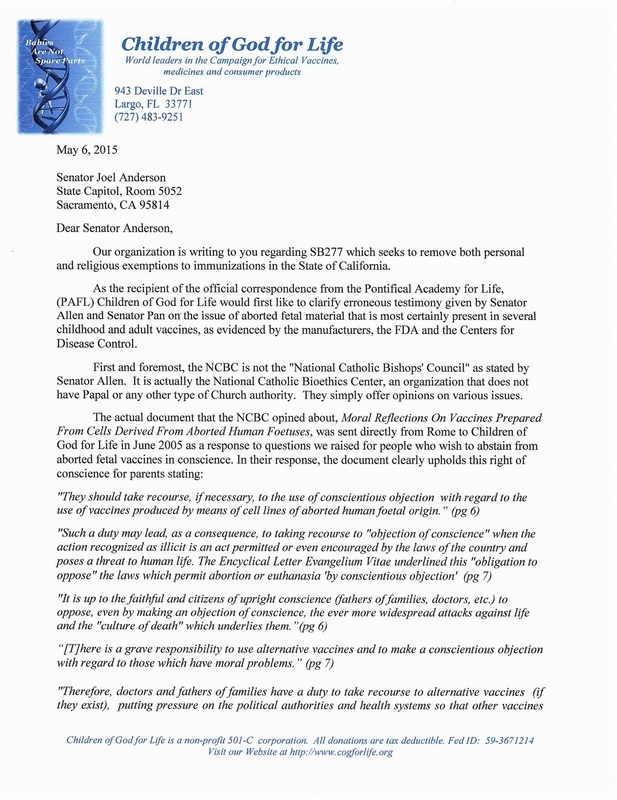 Unless we believe that God mandates vaccines and approves of punishing non-vaccinators, then the U.S. government’s move to further restrict vaccine choice is a clear violation of our God-given agency. The movie Bought, available to watch for free through March 6th: https://www.boughtmovie.net/free-viewing/thank-you.php?AFFID=NONE&optin=1&email=kalarto%40comcast.net.